Axel Rudi Pell released early this year his new album "Game of Sins". Just like two years ago Axel is doing a tour that has been split up in two legs. The first five shows of the planned first part of this tour however had to be postponed because of a virus infection that befell the German axe hero. This first leg will mainly have shows in Germany, but also Switzerland, Belgium and The Netherlands are in the tour schedule. After the tour was kicked off in Osnabrück on Friday, Vosselaar followed on Saturday and then there was this show in Zwolle on Sunday before the band returned to Germany and Switzerland for the last 9 shows of this leg of the tour. 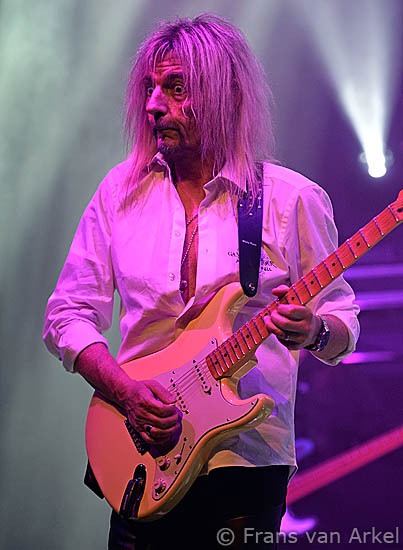 In the summer there are some German Festivals for Axel Rudi Pell and his band. Then in September they'll do the second leg which will see the band also in Austria, the Czech Republic and Italy besides another nine shows in Germany plus again one in The Netherlands (Weert). Also worth to mention, those shows in September will have Lords of Black with the new Rainbow singer Ronnie Romero as support act! In April however the German power metal band Mob Rules is the support act. Mob Rules is a nice band as support act but since they already exist for more than 20 years and have released about 10 albums and are hardly known by most of the hardrock fans it's obvious they are not likely to make it to a big major act. Even though they supported bands like the Scorpions and Europe in the past as well on their tours they are hardly known. They kicked off the night and rocked the stage for some 45 minutes. 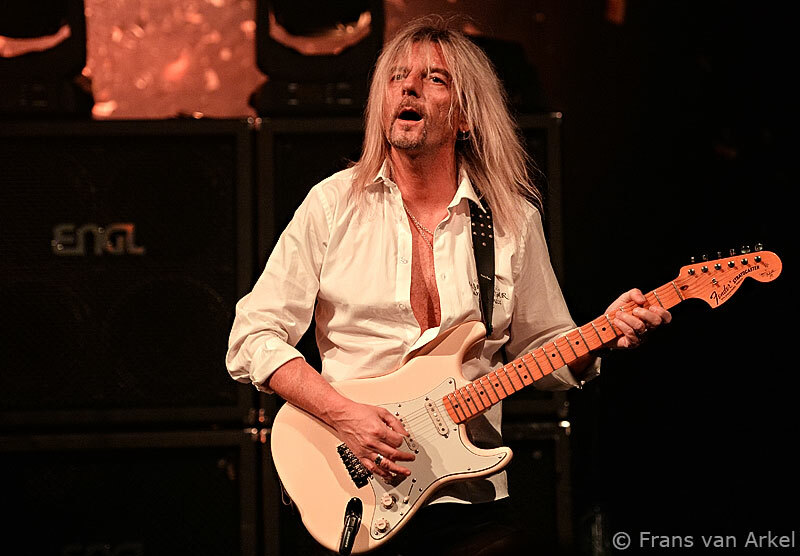 Axel Rudi Pell seems to be recovered from the flu virus and gave the fans a show worth their money. About two hours long with a couple of songs of the new album plus many old favorites. With this fine line-up that has been together since 2013 it was ofcourse Axel himself who took most of the spotlight. Vocalist Johnny Gioeli is an excellent hardrock singer but also a fine showman with some nice jokes and cool stories. He has been in the band since 1998 and told a nice story how he first met Axel and could not open the door of the train when meeting Axel for the very first time. 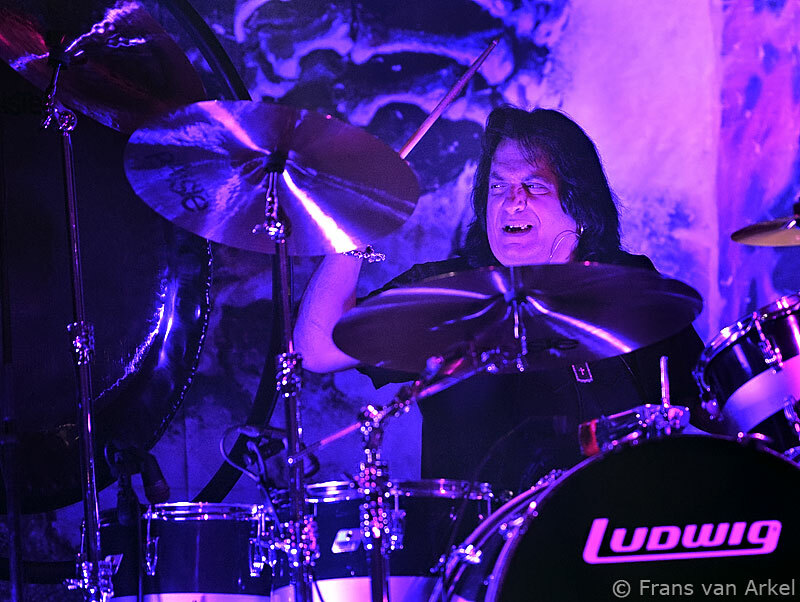 Bobby Rondinelli is ofcourse a superb drummer who already built up his name in the past with his stints in Rainbow, Black Sabbath and Blue Öyster Cult. Ofcourse he impressed again with his powerful drumsolo. With keyboardplayer Ferdy Doernberg and bassist Volker Krawczak Pell has two loyal forces. Doernberg is nearly twenty years a member of his band. Bassist Krawczak already more than a quarter of a century. The band started after the striking intro 'Fortuna Lenta' with 'Fire', a track of the new album. Good rock song that put the tone for a good and long show. With "Fool Fool" and "Nasty Reputation / Strong as a Rock" they pleased the fans. Pity the venue was only half filled. Not unusual for concerts on a dull Sunday night and most people have to get up early on Monday morning to go to their job. Gioeli therefor gave the middle finger for Mondays and he entertained us with much more fun. 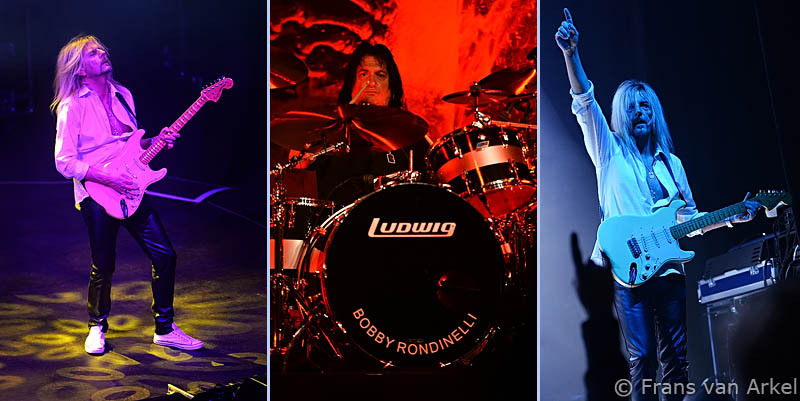 With several other rock songs from his past, the ballad 'The Clown is Dead' and many solo's the band filled more than one and a half hour to return for some more classic rockin' songs in the encores. They ended with the show with some of Axel's best known tracks, 'The Masquerade Ball', 'Casbah' and 'Rock the Nation'. There was perhaps nothing new to discover apart from some tracks of the "Game of Sins" album but Axel doesn't need new and trendy gimmicks. The axeman goes all his life on the path of melodic hard rock and mastered his trick to perfection. His fans know what to expect and are very pleased with that. Everything you can expect you get served on your plate. A few songs from the new album, a lot of old stuff that the fans have heard many times before, a load of fierce riffs, rousing guitar solos, plus the obligatory ballad, a keyboard and a drum solo. Surprises are not there, but the fans don't mind. They come to see Axel play and the German guitarist won't disappoint them. Axel took all the time for it and together with his band gave the audience all that they wanted.